I've dabbled with the idea of learning a new musical instrument ever since I stopped playing the clarinet in 10th grade - not that I was ever a great clarinet player.... or even a good one. I dabbled with guitar briefly after that and enjoyed it, but gave up after a few months. This seems to be how I am with musical instruments; try them for a while and give up when they become too hard (which is not usually like me). So I decided that this year, I would pick an instrument and stick with it for a full year, practicing a least a few minutes every day. "So what, you picked the easiest thing you could find? A Ukulele?" Well, I think that's debatable, but kinda... yeah, but that's not the entire reason I chose it. It's a happy, upbeat instrument that can be picked up and played on a whim. It's not going to take up a ton of space in my already crowded office. If it's damaged or I decide I hate it, I'm not out several hundred dollars. I really like the idea of learning a stringed instrument, but I find guitars very comfortable - I have short arms. There are tons of ukulele songs that are comprised entirely of basic chords, so I should be able to play something relatively quickly and start feeling like I'm accomplishing something. I think that will go a long way in making this something I stick to. 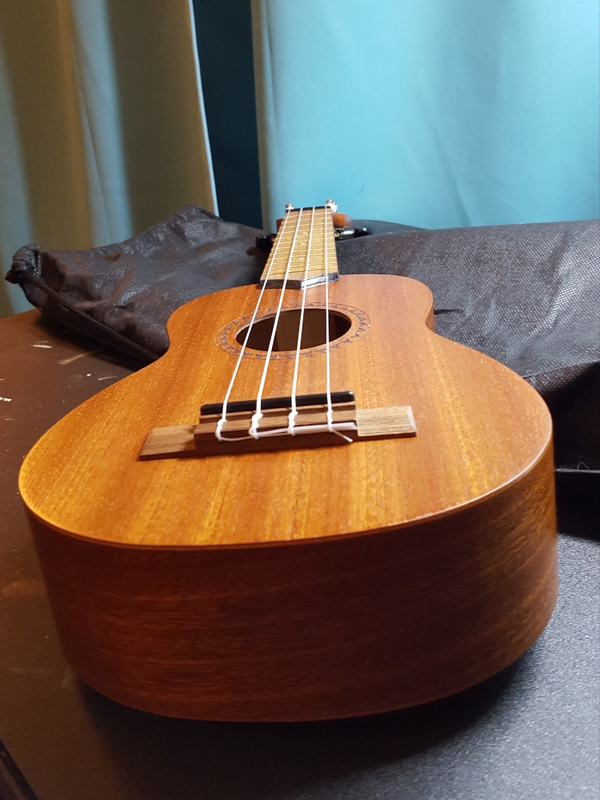 This seems like a good beginner instrument for someone who just wants to pick up an instrument for a the purposes of having a little stress-free creative outlet. So we'll see how it goes and here's to 2018!